The Cutest, Most Adorable Wedding Moments From 2018! No matter how many heartbreaks you have had, you still cannot deny that true love exists. Weddings are proof that two people who are meant to be together will eventually find a way. 2018 was a year that celebrated this feeling of forever love and commitment to the fullest. A lot of weddings this year gave us some pretty darn special moments that the internet fell in love with. Here are the cutest, most adorable moments that have our hearts. Awww... 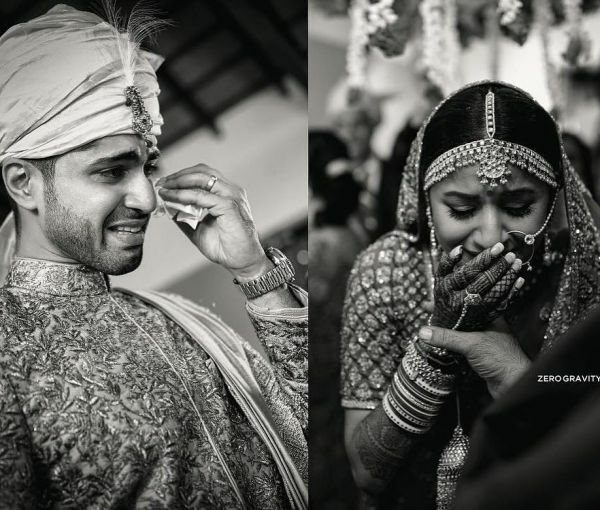 The picture of this groom crying at the altar went viral and seriously, what a beautiful, candid moment it was. No matter how much you and your bro fight, you know he's still your main man! 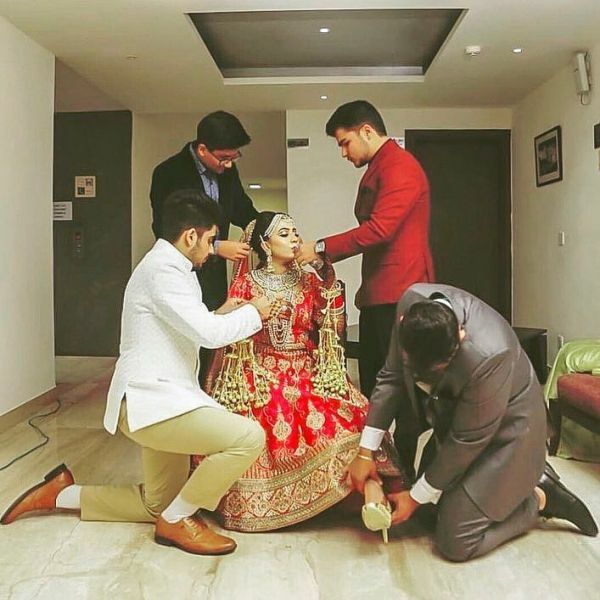 This bride's picture with all her brothers fussing around her is just the cutest ever. What a creative way to add some fun to your friend's haldi ceremony! And the bride's expression...it's just priceless. Two different car accidents that took place at the exact same location, left the bride and the groom with spinal cord injuries. They later bumped into each other at an event and sparks flew. 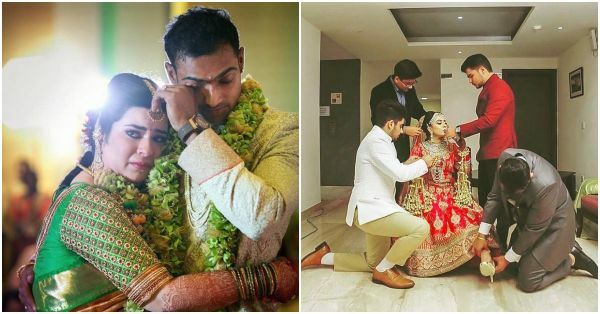 Their beautiful wedding story went viral for the pure, unadulterated love that was evident in the pictures. There's something super cute about pictures of brides with their dogs. Clicked at the vidaai, this picture of the bride and her little one is so adorable. 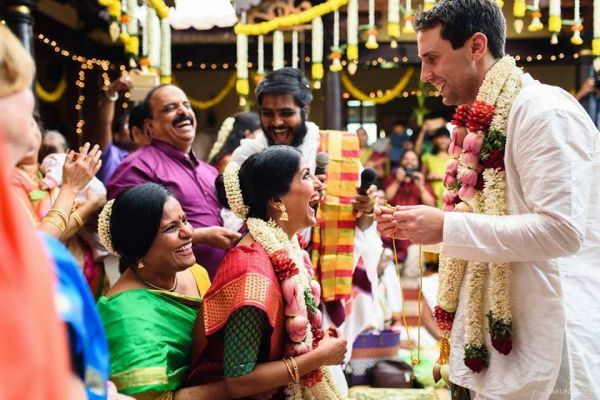 Rajeshwari Sharma, a single mother from Australia broke gender stereotypes and performed the kanyadaan of her daughter. The post, shared by a Facebook user, broke the internet and even politician Shashi Tharoor applauded the bride's mother. 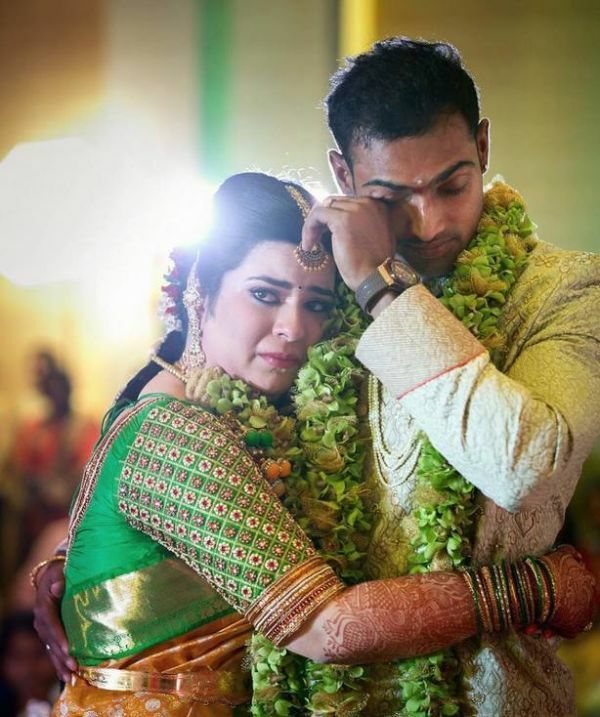 This adorable couple broke down in each other's arms as a video of their memorable moments was played at the venue. Now isn't love all about creating beautiful memories? !